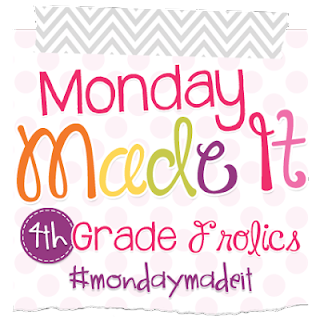 I'm linking up with Tara @ 4th Grade Frolics for her Monday Made-It for the first time! You can check out the other link ups by clicking on the button below! I'm super excited to share this because I think it could benefit a lot of readers! 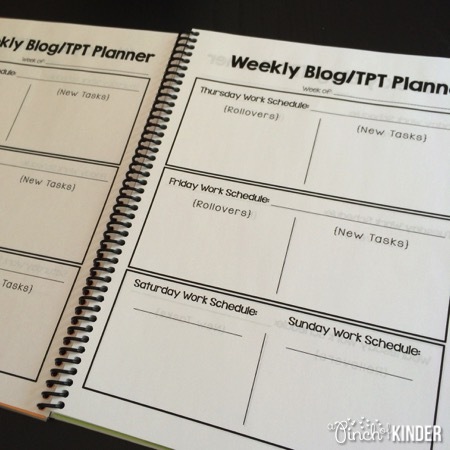 Here it is, my new TPT & Blog Planner! 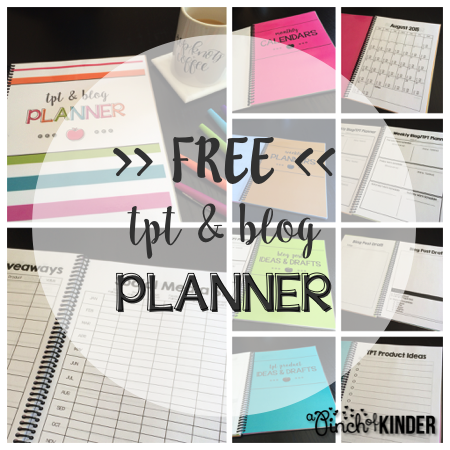 I have scrap pieces of paper, notebooks and post-it notes all over the place so I finally decided to make myself a planner to keep all of my TPT & blog info organized! 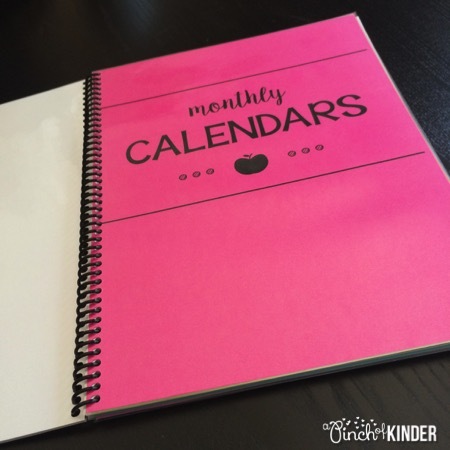 I plan to use this to remember my Kinder Tribe blog posts and to keep track of which days I already have blog posts scheduled. Also I'm going to try to schedule posts for FB and check off the days I have done that as well! Hopefully this will help me be more active on Facebook! 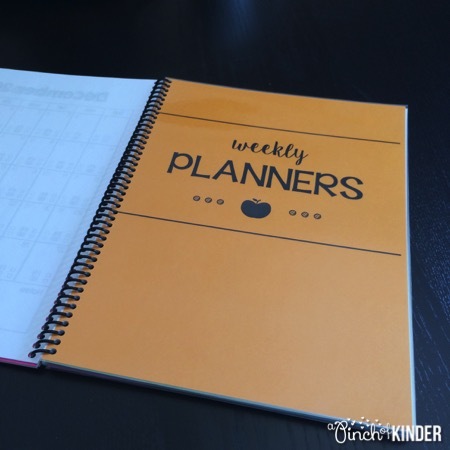 Next up are the weekly planners! 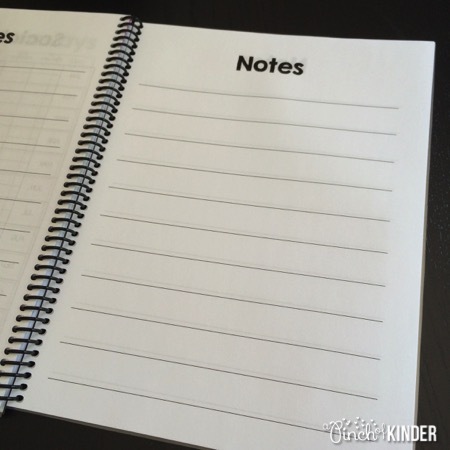 This is the bulk of the planner. I plan to write down the times I work under work schedule and then list tasks I need to finish and new tasks I want to start. Hopefully this will help avoid all of the half finished projects!! 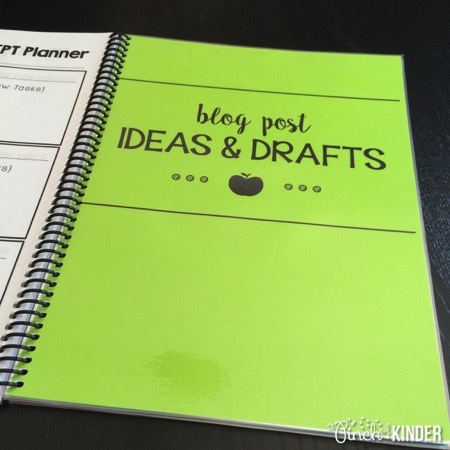 Also it will help me keep track of how many hours I am spending on blogging and creating for TPT. 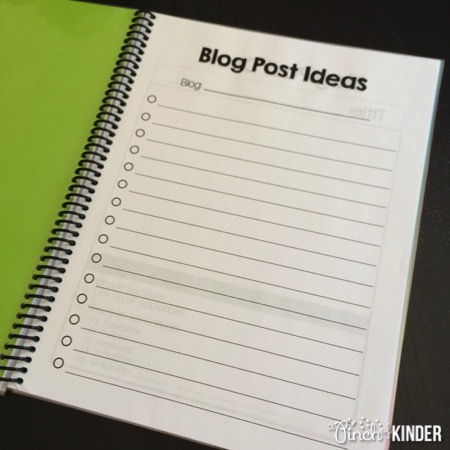 After that we have blog post ideas and drafts. On the first page I printed out the blog post ideas page where I can jot down any ideas that come to mind for upcoming blog posts. Then when I'm ready to write I can do my rough draft on these pages! I like to sketch a rough outline of what I will write + draw in some picture that I need to take to go with the blog post when I am doing my draft. 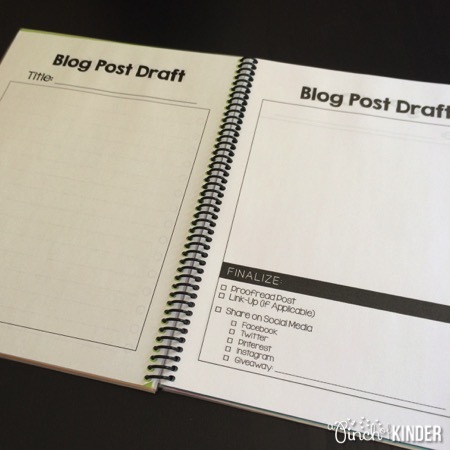 The "finalize" section will help me remember to do all of these things after I publish posts! 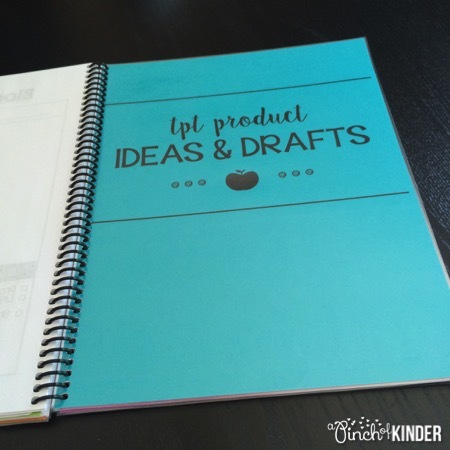 Then we have TPT product ideas & drafts. These pages are very similar to the blog post ones. 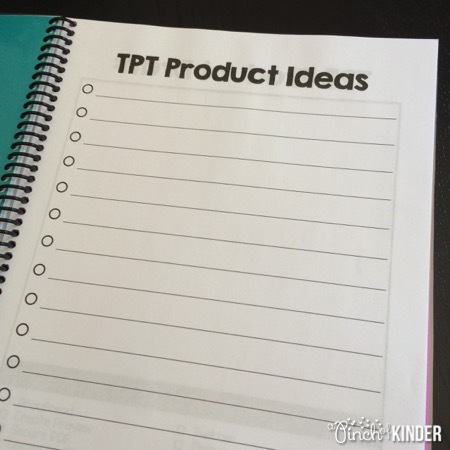 The first page is a spot where I can jot down product ideas for TPT. And then when I'm ready to work on them I can do my draft on these pages! I also have a "finalize" section on these pages to remind me of the final stages of product development and to post on social media! Last, we have the "other" pages. 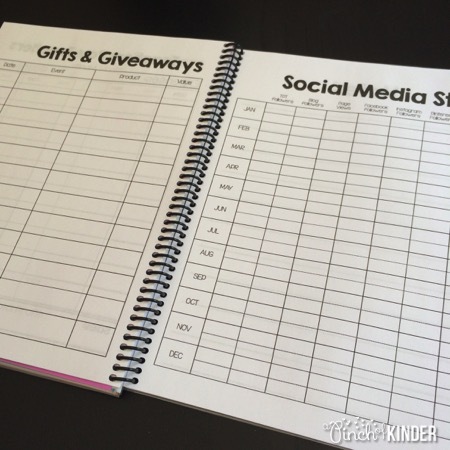 Then I added a spot to keep track of gifts and giveaways I am participating in and a page to track my social media stats. Last, I added some lined pages for miscellaneous notes. And finished it off with a back cover to match! 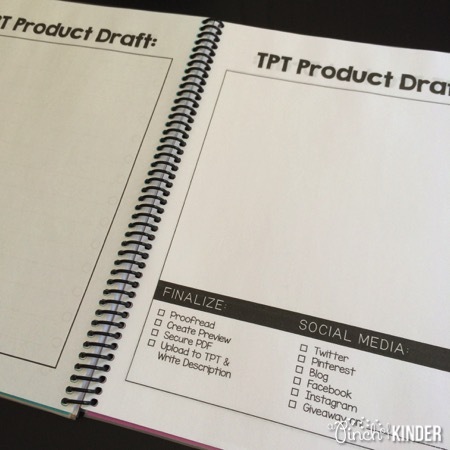 I am in love with my TPT & blog planner and I hope you love it too! And guess what? 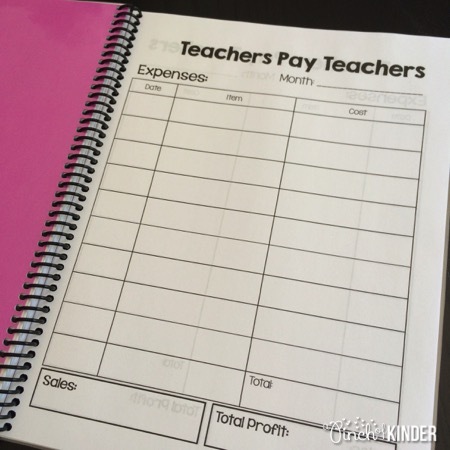 You can download it for free in my TPT store!! I would appreciate any feedback you may have to make this planner even better! I only printed pages for August to December so I'm planning to use it for a bit, update it and then make a new one for January to June 2015! 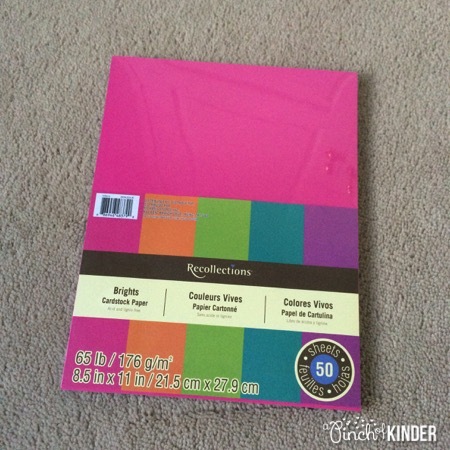 If you want to use the same paper that I used for the divider pages (they also match the cover colours), here is the paper pack that I used! You can buy it at Michaels! 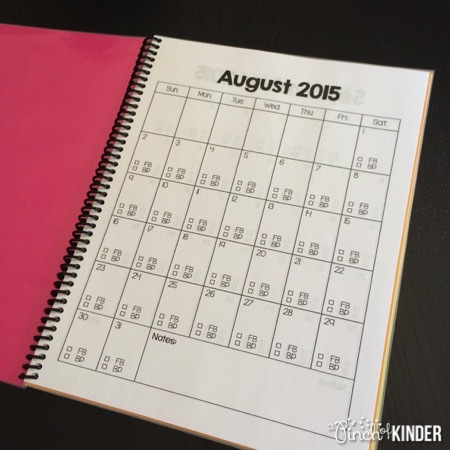 I hope some of you will be able to use this planner too! Today I'm linking up for the Kinder Tribe's first linky party, All About This Kinder Teacher! Click on the image below to learn more about the linky and how you can link up too! For those of you who don't know, Kinder Tribe is a Facebook page and blog for Kindergarten teachers to collaborate with other Kinder teachers! 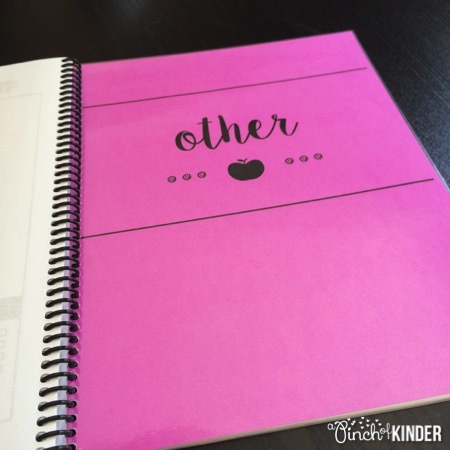 I am an admin for the blog and have been loving meeting lots of like minded kinder teachers!! 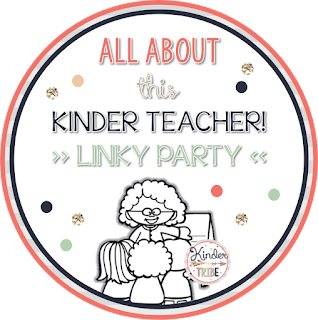 We are a new group so this linky is intended to help us learn more about each other! I was a supply (substitute) teacher for a year when I first got hired with the board and then have had 2 year-long Kindergarten contracts. I am not a permanent teacher with my school board so I have to apply for a new job every summer... so I don't know what I'll be teaching yet this coming school year! But I'm REALLY hoping to stay in K! But I take my coffee with A LOT of cream and sugar! 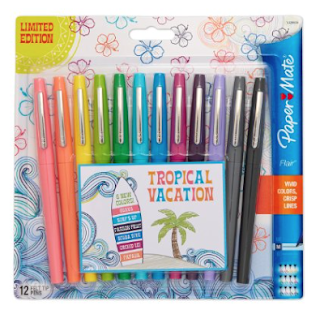 This image describes how I take my coffee..
Like many teachers I LOVE flair pens! I color code by subject, semester.. etc! I love this book because it helps to teach my kinders that there is beauty in every piece of art work! 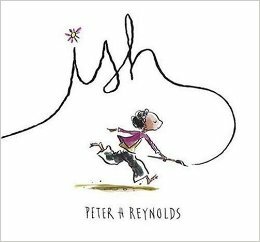 When I hear "I can't do it" or "I can't draw" when I'm teaching writing, I always use this book to show them that everyone is an artist! 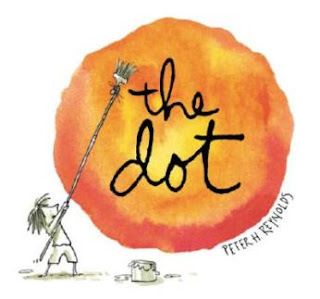 I love Peter Reynolds other books like "The Dot" too! 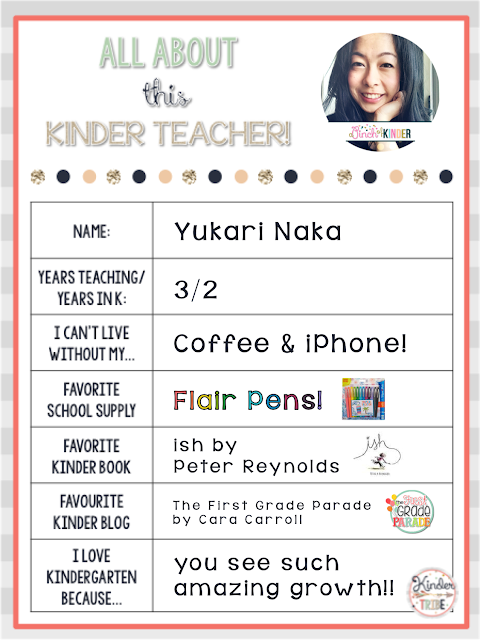 Cara was one of the first bloggers I followed and back then she was teaching Grade 1. I was so excited when she moved back to Kinder! I love all her cute, hands-on ideas for teaching! She is super famous but if you don't know her you can check her out by clicking the button below! I Love Kindergarten Because: You See Such Amazing Growth! There aren't too many other grades where the kids go from not being able to sit criss-cross apple sauce to being readers by the end of the year!! It is amazing to see the growth every year and I feel so proud of them, especially when they start reading!! I love it! 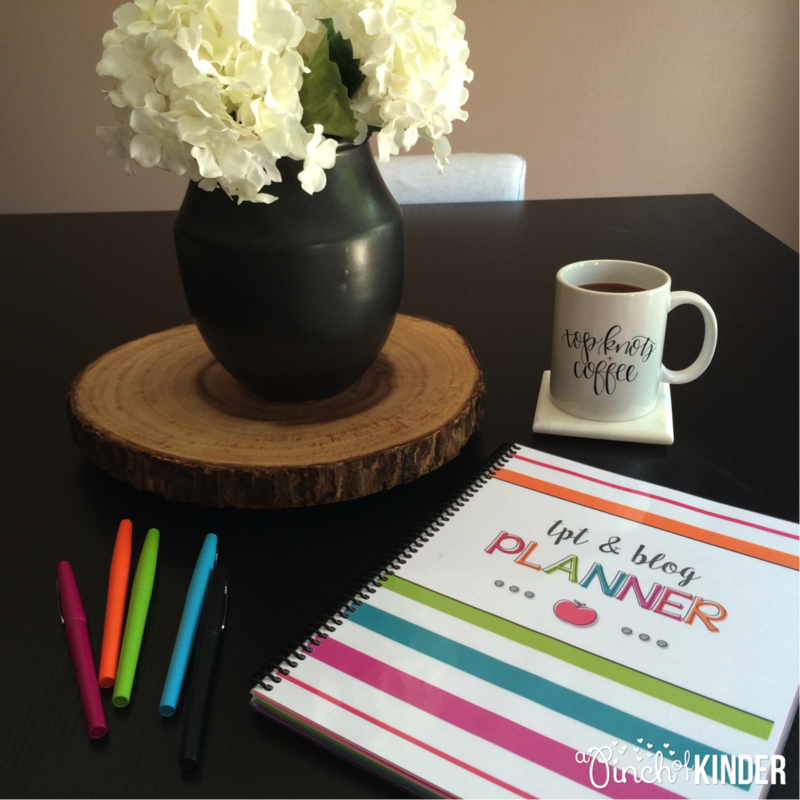 I hope you hop on over to the Kinder Tribe blog and link up too! 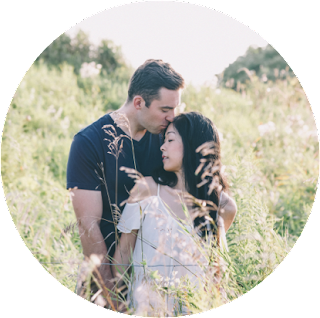 I just wanted to pop in and share with you a new blog that launched today! 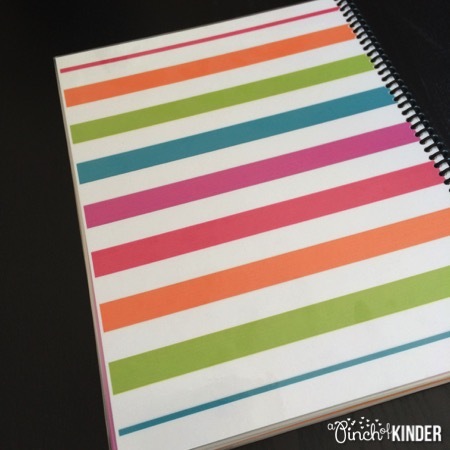 It is the Kinder Tribe blog! Kinder Tribe was originally a Facebook group that started to support and inspire K teachers. 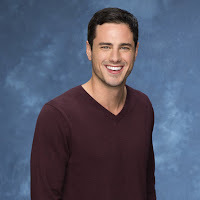 The response was so great that we decided to extend it into a collaborative blog! There are 16 admins (yours truly is one of them!) but there are also many opportunities to link up for linkys or submit a blog post to be featured even if you are not on the admin team! There is also a huge giveaway going on right now for the launch! There are prizes from Melonheadz, EduClips, From the Pond Graphics, Miss Kindergarten, Little Minds at Work.. just to name a few! And a $75 TPT Giftcard! Who couldn't use that right!? Click on the image below to go check it out for yourself! And join the Facebook group while you are there to stay in the loop with all the awesome stuff we have planned for the Kinder Tribe! I'm linking up with Farley for the monthly Currently today. I love this song right now! 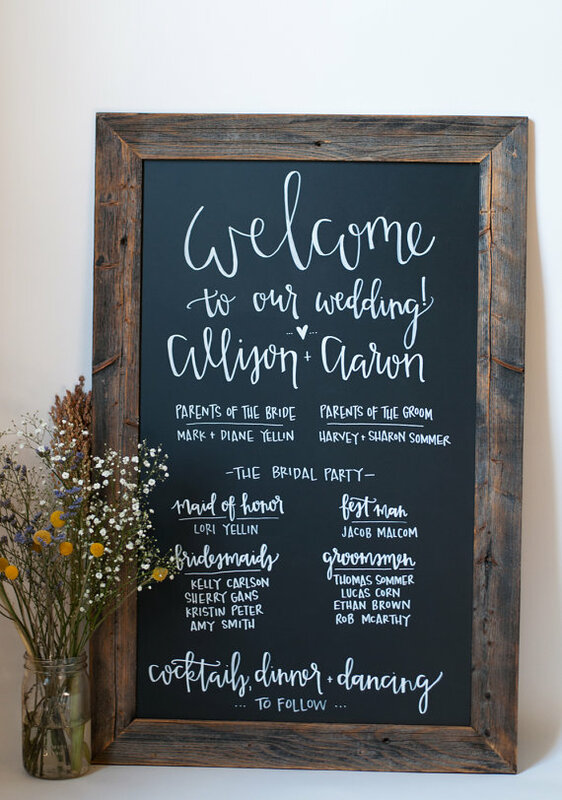 I just discovered Chalkfull of Love on Etsy a few weeks ago and fell in love! She does the most beautiful hand lettered prints/mugs/apparel etc. 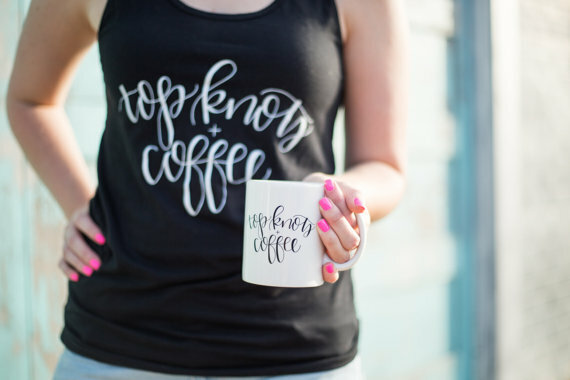 I ordered and got this top knots + coffee tank top and mug. 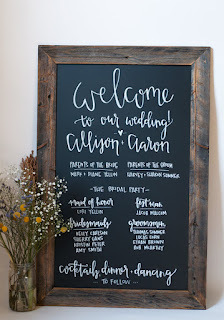 And I want a hand lettered chalkboard but I don't have a quote I love to put on it yet! You can check out her shop by clicking here. I never get to watch the Bach real time! I have it recorded so I'm hoping to maybe catch up tomorrow! So far I like Ben H. and Jared has really grown on me! I feel like I have not been very productive yet this summer! I really want to kick it into gear and organize myself and start being more productive! I still have to organize and put away all my school stuff that I brought home and then make a detailed plan for what I want to get done this summer! So we had our hearts set on buying the ARHOLMA patio sectional from IKEA... but when we went they were all out of the cushions and the salesperson said they won't be getting more until next year!! So we are on the hunt for an affordable sectional. 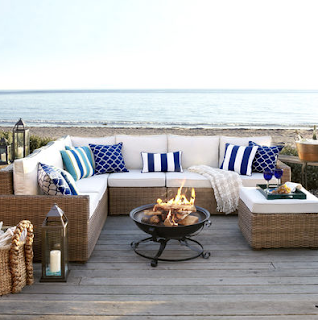 I like this one from Pier 1 imports so I'm hoping they will have it in store or will be able to order it. I'm planning to go to the store sometime this week to find out! I'm the queen of tossing things. 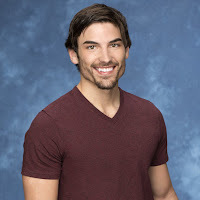 I'd love to hear if you have a suggestion for places to buy patio sectionals/outdoor rugs or if you have a comment about The Bachelorette! !